I’ve just read a review of Fighters in the Shadows by Robert Gildea & I’m looking forward to reading it. 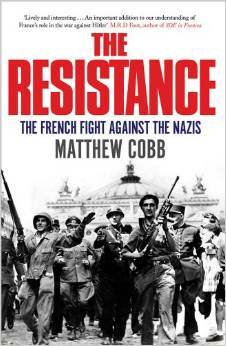 He tells the stories of some of the overlooked heroes of the Resistance, especially women & Jews. I’m always amazed & humbled by reading of such bravery & can’t help wondering what I would have done in those circumstances. Yes, I want to read that, too. I think it is part of the fascination of such books that one is bound to wonder how one would have behaved. It is very hard to know.